Premium case make Lian li recently posted photos and specifications of a prototype Mini-ITX chassis known as the PC-Q33 in an effort to gauge feedback. 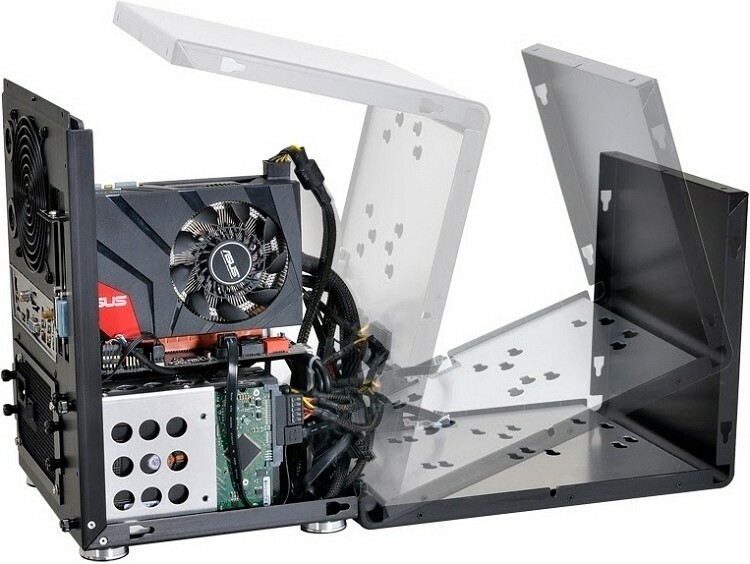 The chassis is unique in that it features a hinged top / front panel that drops down to give complete access to the hardware within. In addition to the obvious convenience that a hinged design affords, the PC-Q33 also features support for 120mm radiators for those with watercooling ambitions and has enough room for a standard-sized ATX power supply. There’s even room for three 2.5-inch drives and two 3.5-inch drives although there’s no space for a 5.25-inch optical drive. The latter shouldn’t be a huge concern, however, as virtually anything you’ll want to install is now available online as a digital download. In the rare instance you need a legacy optical drive, external USB drives are always an option. Inside, there’s also space for video cards up to 220mm long, PSUs up to 200mm in length and CPU coolers up to 180mm tall. Connectivity options include two USB 3.0 ports and HD audio up front. There’s only room for a single cooling fan in the aforementioned 120mm size. Lian Li didn’t rule out the possibility of a removable dust filter for the PSU, either. There isn’t a ton of feedback thus far but with any luck, the company will deem it worth of entering production. Prototypes are shown in Lian Li’s typical bare brushed aluminum and anodized black which means buyers could get the color of their choice if it’s ever made. What are your thoughts on the PC-Q33? What other features would you like to see and how much would you be willing to pay for a Mini-ITX of this caliber?